A brand new visitor to the monthly mixed case #TastingLeague. Lucy Corne told us to give these guys from the Northern Suburbs of Cape Town a chance to show what their area had to offer and so here we go with this tasty Stickman IPA. Appearance: Amber, relatively clear but unfiltered; off-white, dense head. Aroma: Grass, sweet malty almost nutty grain, with a good dose of pine. Flavour & finish: Malty bread-like balance as well with a the tropical fruit punch from the hops. Rich and refreshing with a snappy bitter finish. It has a 5.7% ABV and sits at 57 IBUs. The brewery got its name after a few beers on Cape Town’s Signal Hill and the brewer admitting that he shouldn’t be the one to design the labels, as he couldn’t even draw a stickman. Great first shot in the #TastingLeague, good IPA, drinkable but punchy enough to keep you interested. A steak or burger with pepper sauce. While looking over the rolling Durbanville Hills with the sun shining over the ocean in the distance. Get going on those tasting notes with a case of Stickman or this month’s Mixed Case. Join our TastingLeague on Twitter or Instagram by sharing your tasting notes with us and you can win R1000 in beer. 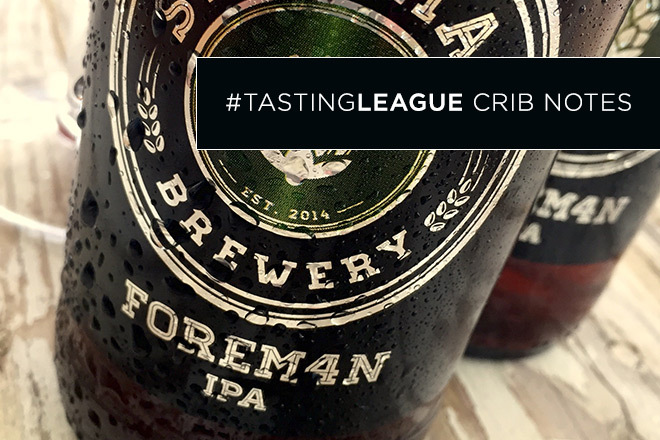 Check out the TastingLeague rules and get tasting.